Jönköping University offers a limited number of scholarships to students who pay tuition fees and who fulfil the requirements of the scholarship and are assessed to be able to complete their studies adequately (please see the Guidelines for Students below for further details). The scholarships are offered on the basis of academic merit, with an emphasis on academic excellence. The scholarships cover part of the tuition fee. Only a student whose first choice of study is Jönköping University is qualified to apply for a scholarship. Only students who are applying to a programme from the start, are eligible. The study application must have been submitted before or at the same time as the scholarship application as the former includes important information and documentation relevant to the scholarship. Apply for studies at Jönköping University here. A scholarship covers 30 percent of the tuition fee during a maximum of three years of study. The student must display a good result after the first year to be entitled to the scholarship for the second year. A mandatory check of the student’s results is made already after the first semester. Applicants who have been awarded a scholarship by Jönköping University but who have not been granted a Residence Permit by the Swedish Migration Agency will lose the offered scholarship. A scholarship is tied to one specific programme. The scholarship is not guaranteed for the student if he or she switches to another school or programme at Jönköping University. Under certain circumstances Jönköping University can reclaim the scholarship. This is applicable for example if the student has been suspended from the university or has not paid the remaining part of the tuition fee. The scholarship is a tuition fee subsidy. An application for a scholarship will only be taken into consideration when the study application fee has been paid. Application for a scholarship can only be made using the separate « scholarship application form », by 15 April at the latest. The awarding of the scholarship will be notified by the university at the latest on 7 May. If the tuition fee has been paid before 7 May a deduction will instead be made from the tuition fee for the second semester to the sum of the scholarship. The receiver of the scholarship must confirm the scholarship offer by accepting the offered study place at the university. Confirmation is made either directly to the university (if the application was submitted in the local admission) or at universityadmissions.se (if the application was submitted in the national admission at universityadmissions.se). If no reply has been registered by 20 May the offered scholarship is revoked. All data entered in the scholarship application form must be verifiable by the documentation submitted in the application process. Scholarship applications will be processed only after the corresponding application for a programme has been completed and all required documents have been sent in. This is the case for both the central admission through university admissions as well as the local admission later on. 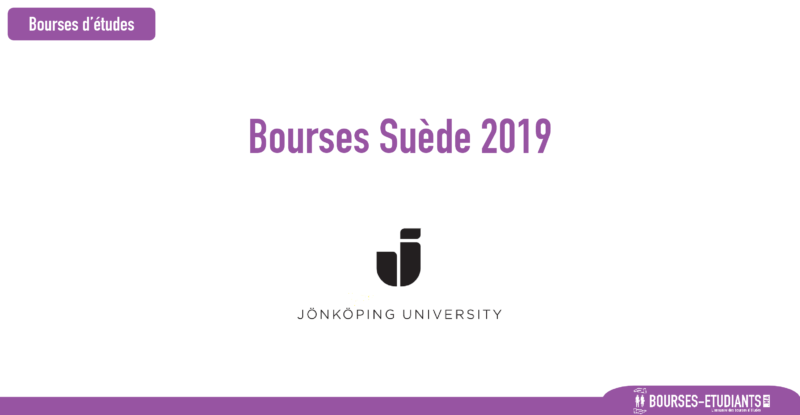 Please note that you can only apply for a scholarship if you have applied to Jönköping University as your first choice. Please note that this should be the same as the address you provided in your application for studies at Jönköping University. Please fill in your graduation date or the expected graduation date (6 digits, YYMMDD format). After filling in all required fields in the form, please upload it together with all other documents.